That word ‘smart’ again, it keeps coming up. You probably never heard the end of it during 2018, or the year before that, or the year before that… But, despite a number of notable instances of tech firms becoming a little too interested in our daily lives (and voting habits), the appetite for smart devices only continues to grow. 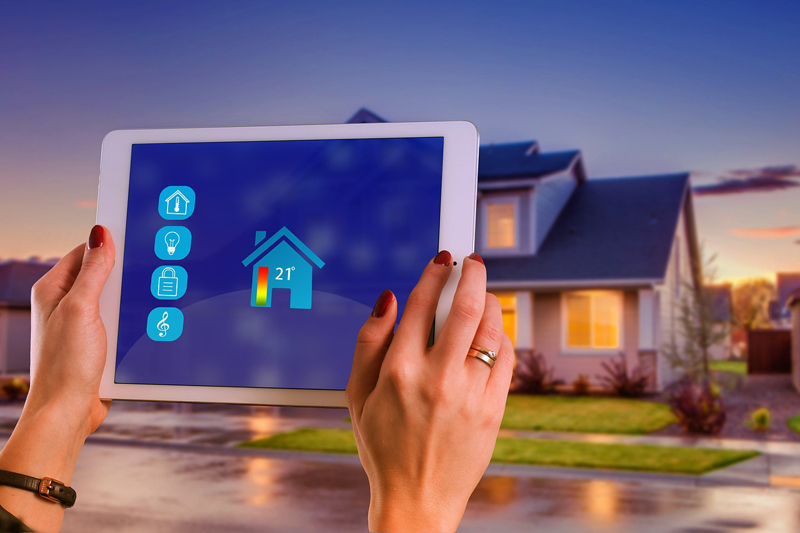 A report from data and analytics company, GlobalData, has predicted that a “growing competition for smart home dominance” will be one of the top five tech trends of 2019. For those interested, others include the rollout of 5G networks, the expansion of e-sports, content owners launching new video services, and ongoing concerns about data privacy – who would have guessed?! Clearly then, the phenomenon of the ‘smart home’ is set to continue for the foreseeable. While ownership tends to be focused around smart speakers and watches at the moment, the growth of homeowners looking to pair these devices up with the rest of their home results in obvious opportunities for the UK’s installers. Thermostats, alarms, lighting, security systems and more, can all be connected together, and the onus often falls upon the tradesperson to fit, connect and advise on how the system all works. Pair this with the trend that the millennial generation – you know, the one that likes smashed avocado for breakfast – is ditching the DIY culture and turning to professionals to fix up their homes, and this all creates a fantastic prospect for installers. As always, the introduction of new technology results in new skills to learn. Initial installation may be fairly similar with previous, ‘not-so-smart’ products, but it is vital that you can demonstrate your aptitude with smart devices and explain how they work to increasingly tech-savvy consumers. Fortunately, almost every manufacturer of smart devices is here to help. Whether it be online, classroom-based, or simply a dedicated technical helpline, there appear to be plenty of training courses and advice available. And don’t forget PHPI either! We have a number of dedicated articles on the smart home topic on this very site! Nor is it just the technical side of the job that installers should look to brush up on. While reports continue to suggest a growth in the industry, there is still a large percentage of the UK who are yet to be convinced by the benefits of opening their home up to Alexa and the gang. Suppliers can also offer vital business support on how to upsell these products, and describe the benefits in a clear and succinct manner. Saving on household bills is always going to be the straight answer, but having the ability to explain how this can happen, without sounding ‘overly technical’ or patronising, isn’t always easy. If, like some of your customers, you are yet to be convinced by the benefits of a smart device, why not install one in your own home? The theory of ‘learning by doing’ continues to be as relevant as it has ever been in the trade, and clearly the smart trend is going nowhere in 2019, so it may well be worth your while. Who knows, you may even save on your bills as a consequence.